When KiwiSaver was established in 2007, the scepticism it faced turned out to be unfounded. In a little over a year more than one million people had signed up. But more important, the Global Financial Crisis was about to hit. In January 2008, the US Fed moved to prevent a housing bust. But they were quite unaware of how toxic subprime mortgages were in the process. Quickly, Bear Stearns, then IndyMac failed, to be followed by the signature event in the crisis, the failure of Lehman Bros. The investment landscape turned on its head, bringing with it a risk-averse investment climate. For the next few years, safety trumped returns. Interest rates dived and bond prices soared, giving the bond market an enormous boost, not only in returns but also buffing its reputation as to where serious investment gains could be won. Locally, the guaranteeing of collapsing South Canterbury Finance's bonds by the Government enabled those who bought them at a steep discount to suddenly be rewarded with a par payout at the taxpayers' expense. Bonds were paying off big-time in a crisis and everyone noticed. At the other end of the risk spectrum, growth funds were performing poorly. The profits that underpinned equity returns were compromised and investors pulled back their price:earnings multiples. In hindsight, it was a time to load up on risk assets like growth and aggressive funds. Not many did, even though it was the conventional investment wisdom. Fear blinded investment reason. However, this set the stage for outsized growth and returns for the period to 2015/6 for these higher-risk investments. Instead of taking a back seat to bonds and other perceived more conservative investment vehicles, equity investments soared. The point of this short history is to note that the flush of outsized returns from Growth funds may now be passing. Certainly our regular savings KiwiSaver analysis shows a definite leveling off in returns and a situation where fund managers are no longer able to report gains touching +10% per annum. Our latest analysis of Growth funds still has the two with the best long term track record averaging +9.0% and +8.1% pa from inception after-all-fees and after-all-taxes. In anyone's language, that is very good for a managed fund. But these results are slipping each quarter. And the past-three-year performance for these funds is also slipping. However, we should note that on a risk-adjusted basis, the previous results were exceptional. 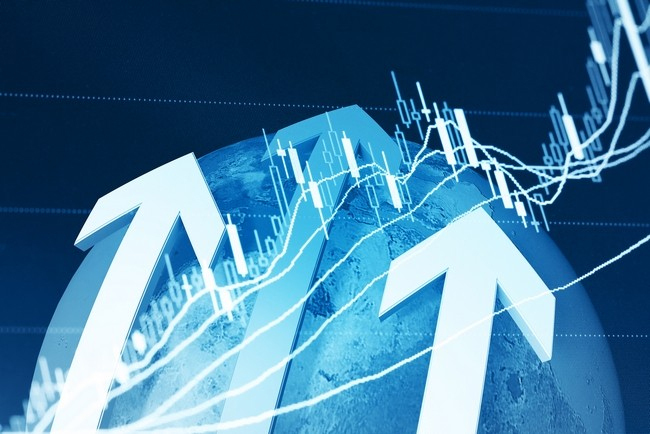 The latest results are still very good and perhaps more of what you should expect when New Zealand's economy is settled in to a long-term positive run, supported by global economies that are also well into a long positive run. At some point, the run will come to an end, even if it looks unlikely now. We are now into the eighth year after the bottom of the previous cycle and that means the current growth period is longer than many other previous business upswings. The Growth fund with the best 10 year track record in our analysis now reports a +9.0% pa cumulative gain. The next best reports +8.1% pa average. Half of the KiwiSaver funds we track in this Growth category have delivered since inception gains exceeding +7% after-all-fees and after-all-taxes. If more savers had listened to the standard advice from investment professionals they would now have substantially larger portfolios than they actually have by channeling the fear. By March 2018, our standardised investor who started in April 2008 as a 28 year-old on a median income had almost $50,000 in their Growth account if they were with the fund with the top track record. That is more than +$10,000 in gains over staying in the best Default fund - where the member contributions are identical. $10,000 is the cost of being conservative in the past decade, and cannot be won back by switching now. Having noted that, it may be more at risk than in a Default fund, but as we noted recently, bond-heavy funds also face some serious potential headwinds, risks that actually may be more likely than a sharp fall in equity prices. In fact, a $39,000 Default fund balance would only be ahead of a $49,000 Growth fund balance if there was a sudden fall in global equity markets of at least -20%. Since 2009 we haven't seen a correction like that. The largest S&P500 correction was -11% between August 2015 and February 2016, and the NZX50's largest fall since 2009 was -7.7% between September 2016 and November 2016. Unless you are close to needing the funds for retirement living purposes, even with the recent leveling off, good Growth funds continue to impress from an investment point of view. But there is a downside, one we have highlighted in a previous review. And that is that nearly half the funds in this category seem to underperform - well they have to date. And that group is growing with only four of 22 now holding after-all-fees, after-all-taxes returns over 7% in the last three years. Growth funds should out-perform Balanced Growth, Moderate, Default and Conservative fund returns and the stark fact is some of these Growth funds haven't managed to do that against the best of those lesser-risk funds in the past ten years. Here is where these funds are invested. Fixed income elements will be bonds with less than top credit ratings (although most will still be 'investment grade'). Equity investments are the bulk of these portfolios, although there will be more capital-gain plays than dividend-yield plays. And property funds and alternative assets get a reasonable allocation here too. At this end of the risk spectrum, historical track record is a little less important than understanding the strategy for the future. But that is hard for an individual fund participant and requires dedicated work and a background to understand what the manager is really trying to achieve. To a large extent, you are trusting the manager, and that is where the historical track record is usually fallen back on. That is an understandable reaction by fund investors even if it can't be rigorously justified. The more risk you want to take on to get access to superior returns, the more work and knowledge you need to have to choose the right growth fund. If you don't have that sort of background, at least engage an experienced, qualified adviser you trust. Across the industry there is currently no consistency on how funds are categorised. We have found that sometimes the fund name can be misleading and it is important to completely understand what drives the funds performance (asset allocation, investment philosophy etc) and be aware of how the underlying portfolio of securities is made up and where the potential variability in monthly or annual returns may come from. To learn more about how we categorise the various funds click here. There are wide variances in returns since April 2008, and even in the past three years, and these should cause investors to review their KiwiSaver accounts, especially if their funds are in the bottom third of the table. I've been in the Generate Focused Growth for a few years now, had some good returns right up until withdrawing for our house deposit this time last year (13.40% 1 year / 11.21% 3 year @ March 2017). Looks like it's starting to lose some value now though, down 2.17% in Feb and down 2.75% in March 2018. My returns were -3.1% for Feb and -2.5% for March. That's a pretty penny down the drain. "But these results are slipping each quarter. And the past-three-year performance for these funds is also slipping." This is why I never understand the insistence that if you pay more (Fees) you get better returns. If you are in the market, then you are bound to the market. A blind, one armed, monkey would have just as much ability to produce returns in the good times. A complete misunderstanding. The point was that fees are no indicator, have no correlation, to after-all-fees, after-all-taxes returns. It was never "high fees produce higher returns". Fee levels have nothing to do with returns; the evidence is clear. Funds with the best track record are completely uncorrelated to fee levels. I understood the article and think it is a very nicely balanced piece. My comment was aimed to be in support of the article. When seeing a downwards cycle, people do get scared. However this is often where we see the more rapacious fund managers prey on that fear, by implying that their higher fees (and larger returns over the last few years) show they will be better placed to beat the market going forwards. Which is usually not the case. Use the Search box above the headline on this article, or go here. It'll be interesting to see the impact of a TWG recommended capital gains tax. One can only hope Cullen & co are mindful that it will narrow the return gap between between cash and equities and exacerbate the risk aversion to shares that many Kiwi investors continue to have.